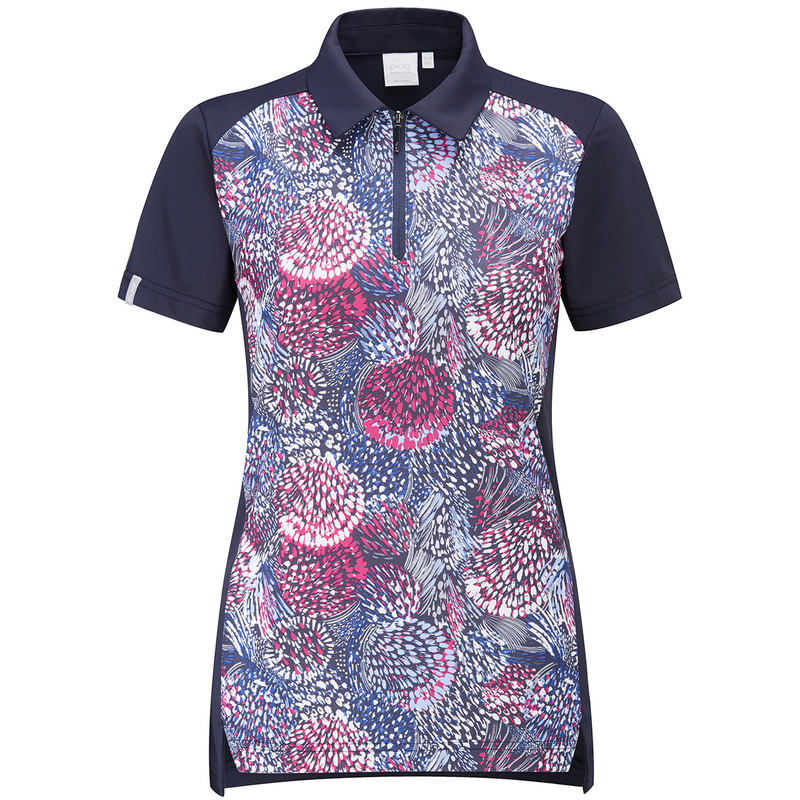 This stunning short sleeve playing top, has been designed to bring sophistication and style to your golf game. Constructed with extra stretch to give you added comfort and movement as you move through the athletic movements of the golf swing. 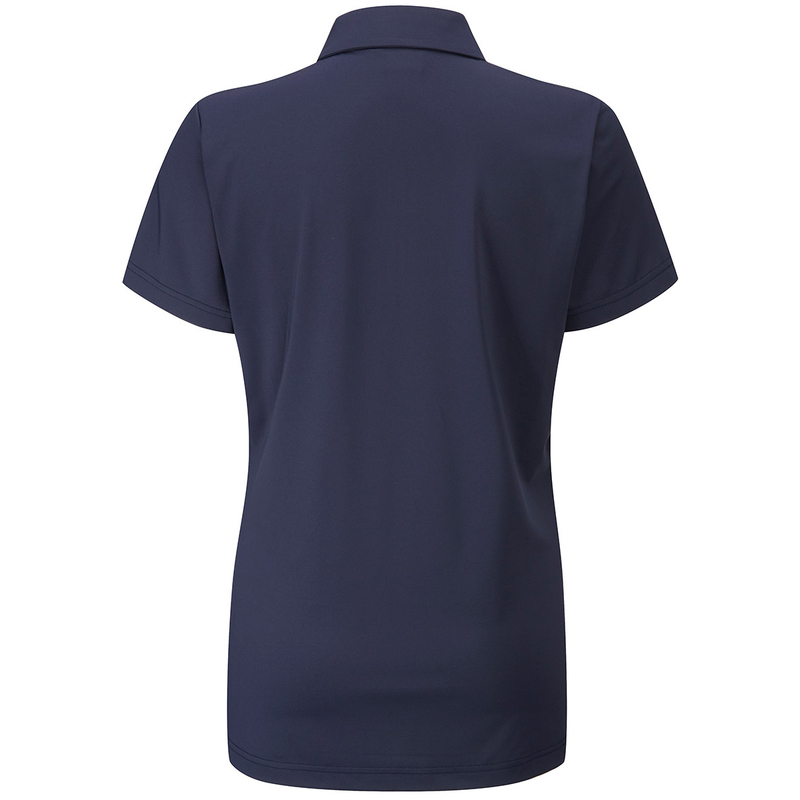 The material offers moisture movement and quick drying, and is crease resistant to offer less distraction during your golf game. 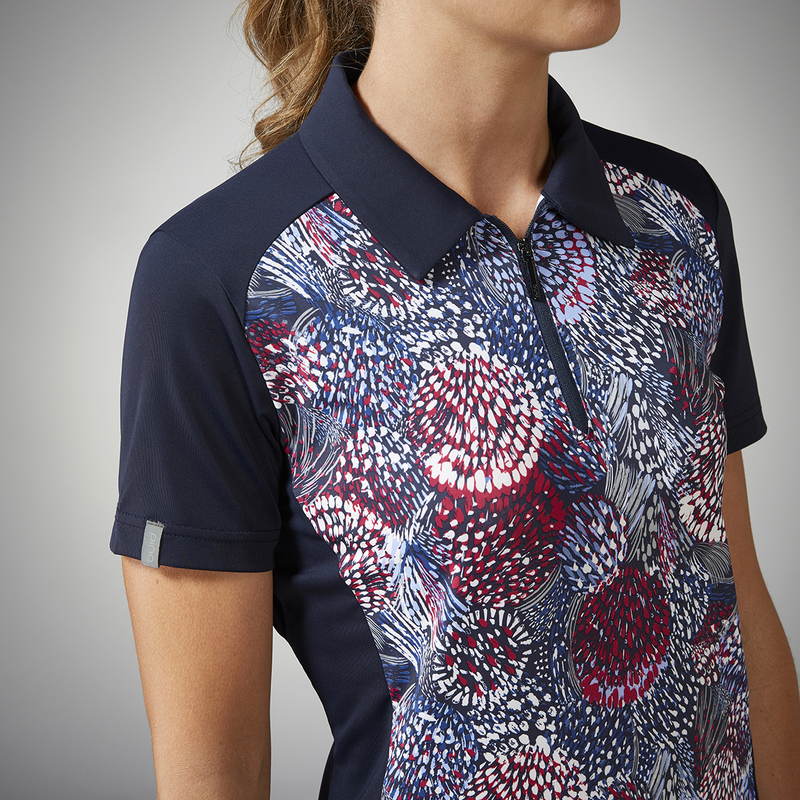 Finer details include a zip neck opening, vents at the front hem, and has a high sun protection rating of 50+ which is perfect for playing the outdoor sport of golf.